There are dozens of smart dog breeds, with some more popular than others. In general, any dog that performs well as a working dog or service animal can be considered a very intelligent dog. This list covers 10 popular dog breeds that are often considered the smartest. What Makes a Dog Smart? There are differences in opinion regarding the signs of intelligence in dogs. You could argue that the smartest dogs are the most stubborn, which might make training more difficult. These dogs may train their humans more than humans could ever train them. However, the majority of people feel that the smartest dogs are fast learners and, therefore, the easiest to train when they are properly motivated. Intelligent dogs are often able to learn more words that the average dog and, in turn, perform more actions on command. The smartest dogs usually pay close attention to their surroundings and pick up easily on subtle cues. Many can understand the difference between objects and actions. Some can even identify their toys by name! The most intelligent dogs are often hard-working high-energy dog breeds. Perhaps these dogs learn so quickly because they are highly motivated to perform, not just because of their brain power. A breed is not the only determination of intelligence in a dog. There are many highly intelligent mixed-breed dogs. There are also plenty of dogs that are more or less intelligent than their breed's reputation suggests. Often, a dog's intelligence is brought out by the way you interact with that dog. Dogs learn best when they are motivated to get a reward or need to use up excess energy. The best way to cultivate your dog's intelligence is to keep your dog engaged. Bond with your dog, provide frequent exercise, practice training regularly, play fun games, and allow your dog to participate in fun activities, such as dog sports. If you have one of the smartest dog breeds or hope to get one someday, be aware that you will need to put in a lot of effort to take proper care of your dog. All dogs have needs, but the smartest dog breeds typically need more exercise, attention, and training to keep them mentally and physically stimulated. Think of brilliant dogs like gifted children in school: they get bored if they are not challenged. Most of the smartest dogs really benefit from a type of job or dog sport. If you have an intelligent dog, make sure you keep your dog busy and prevent boredom. The border collie is perhaps the smartest of all dogs. If most dogs have the intelligence of the average two-year-old, then a border collie might be as smart as a four-year-old. 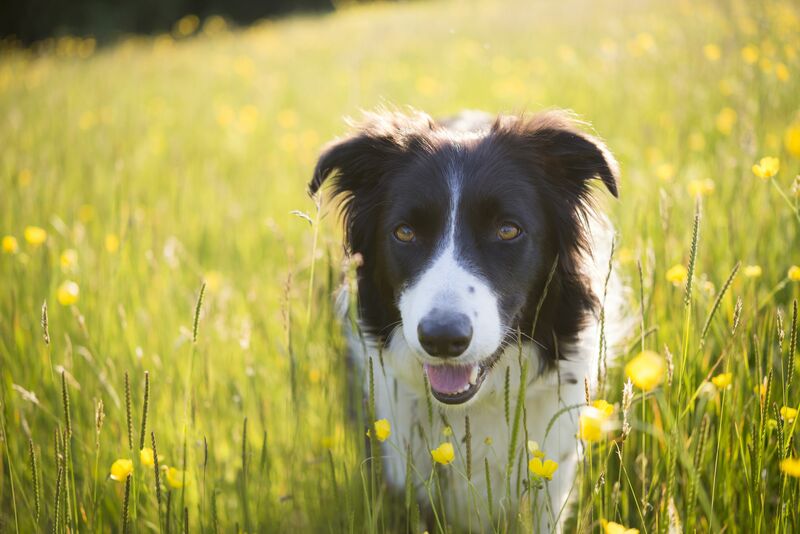 Extremely energetic, athletic, and driven, it seems that the border collie is always up for learning something new (much like the Australian shepherd). In fact, if you don't keep this breed constantly moving, learning, and working, it will find its own way to keep busy. Border collies can perform just about any job you can give them. However, they love work that keeps them moving and using their brains at the same time, just like their sheepdog histories prepared them to do. The border collie is the overachiever of the canine world. This breed excels at just about everything, including dog sports. One of the world's most intelligent dog breeds, the Australian shepherd is brilliant, active and friendly. Its background as a sheepdog has made this breed a diligent worker that desires physical activity and mental challenges. The Aussie will learn much faster than you expect and be quickly ready to move onto something new. Aussies need to be kept busy with work or they become bored and frustrated. Dogs sports are ideal for this breed, especially those that engage the Aussie's natural athletic ability. Despite its fancy or even "prissy" appearance, the poodle is a highly intelligent dog. Toy, miniature, or standard in size, this breed is gifted with some of the best canine brain power. The poodle originated as a hunting dog and continued to be a diligent worker and trusty companion. Poodles are often seen as performing animals, especially the smaller ones. You can teach a poodle to balance on a ball, jump through a hoop, or do a wide range of other actions. The Australian cattle dog (ACD) is an extremely focused and driven dog breed that forms a close bond with its owner. The ACD was bred to herd cattle, so the breed lives to work. Like most intelligent dog breed, the ACD is happiest with a job to do. Without it, and the ACD will find ways to keep busy that you might not like (often destructive behavior or wandering away to explore). Treat your ACD well and the two of you will be friends for life. These dogs love to stick close to their owners and make sure everything is running smoothly. Like most smart dogs, they are very good at reading people. The German shepherd dog (GSD) might be too smart for its own good. This loyal, protective breed has so much energy and intelligence that it sometimes acts high-strung or anxious. The GSD thrives when given an important job to do. It may be something as simple as "supervising and protecting" the children that gives a sense of purpose to this breed. However, the GSD needs plenty of mental stimulation and exercise in order to thrive. Many GSDs find their calling by working with police or military operations. They can learn most actions in just a few steps. Once trained, GSDs will do what you ask and then look for the next task to perform. The Shetland sheepdog is smarter than you might think at first glance. At times, the breed is misjudged as aloof. The Sheltie is sometimes quiet and graceful; other times it is energetic and playful. Independent and wise, the breed is always watching its environment and waiting for a signal from you. This breed is very good at reading people and often tunes into their personalities. Shelties are eager to learn and please. Their sheepdog roots make the breed very driven and responsive to its surroundings. Shelties form close bonds with their owners and are extremely responsive to training. Honorable mention goes to the ​collie, a close relative of the Sheltie that has similar intelligence. Don't be fooled by the delicate frame of the papillon. This is more than a lap dog. In fact, the papillon is one of the smartest of all the toy breeds. This breed is friendly, alert, and active. It might snuggle on your lap for a bit, but before long, the papillon will be looking for something interesting to do. Like many small dogs, the papillon has a bit of a stubborn streak. However, if you can make training worth his while (find the rewards he likes best) then he will learn quickly. Teach this cute little dog a variety of fun tricks and you'll impress your friends. The Rottweiler is one of those dogs that really knows how to read people, often showing a different side of its personality based on how much the person is trusted. The typical Rottweiler has an affectionate, playful side shown to trusted family members and a stoic, controlled side shown to strangers. These dogs have no trouble telling you what they really think about you and whatever you're trying to do. Don't try to pull a fast one on them or the people they protect. Once you are in the Rottweiler's inner circle, you can form a deep relationship. They can be trained fairly easily once you earn their trust and get past their headstrong ways. Rottweilers can learn to perform many actions and will always keep an eye on the environment to make sure everyone is safe. The Jack Russell terrier seems to be missing from many smart dog breed lists. Perhaps it is because this clever little dog moves too fast to be noticed by some. The Jack Russell, along with the closely related Parson Russell terrier, is a fearless, energetic dog with a sharp wit and a stubborn streak. There's no fooling this little terrier. Good luck trying to stop this dog from getting what he wants. Because of their energy and brainpower, these breeds excel at dog sports like agility and barn hunt. Their desire to keep moving can make training challenging at first but rewarding once you see how well these dogs can perform. The golden retriever is among the world's most popular dog breeds and one of the friendliest dogs around. On the surface, the breed may seem goofy, but a golden can learn to do just about anything. Its intelligence and love for people make this breed one of the best for work as a service dog. The golden also excels in all kinds of dog sports. The breed makes an excellent companion for almost any kind of household. Honorable mention goes to this breed's "cousin," the Labrador retriever, which shares many of the same traits as the golden. What is the Best Dog Breed for Kids? What Are the Most Popular Small Dog Breeds?